This item is a Topwind, Bulldog Tongue Jack with a grey painted finish. Rolled Acme Threads of Inner Screw which Allows for Smooth, Powerful Cranking. Sealed unit. The Heavy Duty Swivel Retaining Ring Bracket Allows for Multiple Locking Positions which is Safe and Secure for Operation. 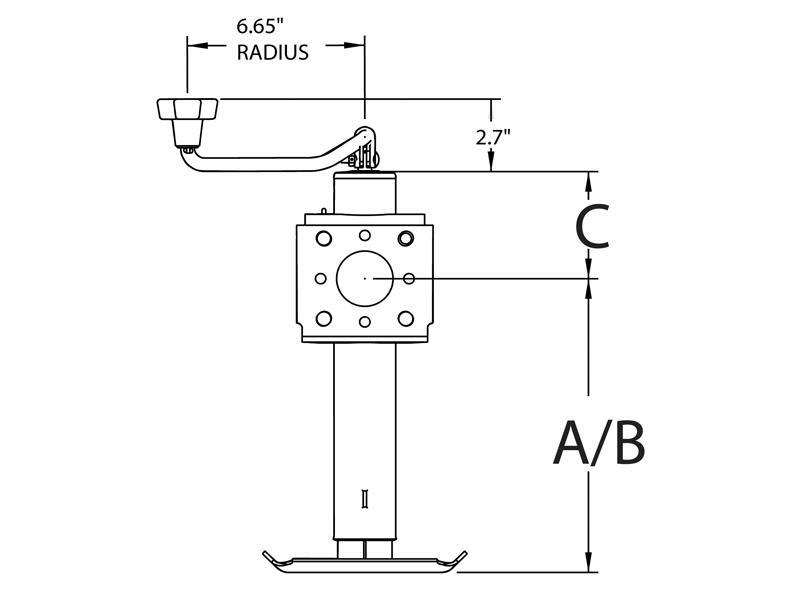 The Swivel Jack comes with a Weld-On Retaining Ring Bracket for up to a 3 inch x 5 inch Tongue, which includes the mounting hardware.